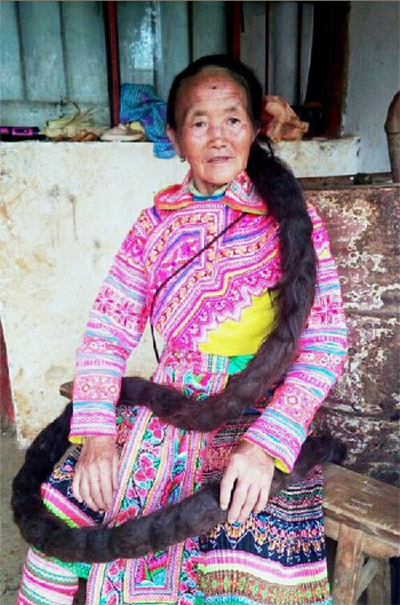 A Miao ethnic woman in Yunnan province has grown her hair to 2.52 meters over the past 35 years. 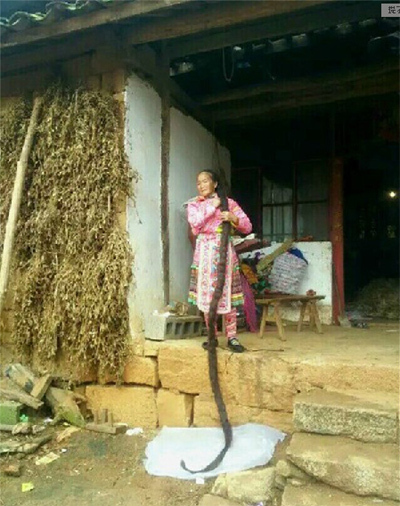 Gu Meiying, aged 59, has been distinguishable from local villagers because of her uncommon long hair, according to Yunnan.cn. She hasn't cut her hair since she was 24 years old, with it growing six to seven centimeters annually. "I consider my hair as a treasure and talisman," she said, adding that she also believes long hair is good for health. Gu refused a 19,000-yuan offer for her hair. "I insist on growing it and will aim for a Guinness world record." She winds her long hair into five rounds on top of her head or three and half rounds around her waist when doing farm work. It takes a week to dry after washing, Gu complained.